We’d love your help. Let us know what’s wrong with this preview of Exploring the World The World of the Vikings by Richard Hall. A vivid picture of the Vikings that draws on the latest discoveries and augments written evidence with fine archaeological detail. Here is the complete story of the Vikings from their origins in Scandinavia during the early first millennium AD, through the incredible period of raiding, trading, and settling known as the Viking Age and the huge impact that the Vikings had o A vivid picture of the Vikings that draws on the latest discoveries and augments written evidence with fine archaeological detail. Here is the complete story of the Vikings from their origins in Scandinavia during the early first millennium AD, through the incredible period of raiding, trading, and settling known as the Viking Age and the huge impact that the Vikings had on the course of European history, to the last surviving Viking settlements in fifteenth-century Greenland. The book explores Viking life and culture in detail, from their costumes and appearance to their longhouses and towns, including Hedeby, York, and Dublin, and the extensive Viking pantheon. Viking warfare, targets, and tactics are analyzed, as are their weapons, crafts, and other artifacts--including their stunning pattern-welded swords, their helmets, and their hoards. The ship, the linchpin of the Viking world, is described and illustrated with numerous examples, among them Oseberg and Nydam. Box features complement the text, covering subjects as diverse as runes, navigation, silver hoards, and the sagas. To ask other readers questions about Exploring the World The World of the Vikings, please sign up. 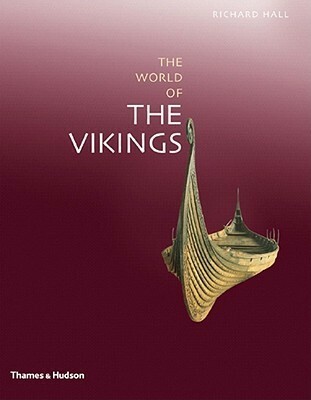 “Exploring the world of the Vikings” is written by Richard Hall and was published in 2007. I’ve purchased this book in the museum shop of The Dutch National Museum of Antiquities (Rijksmuseum van Oudheden). This museum is the national centre of archaeology where you can appreciate the cultures of ancient Egypt, the Near East, the classical world and the early Netherlands. If you are in the neighbourhood, don’t forget to visit! The book describes the full story of the Vikings form their origins in “Exploring the world of the Vikings” is written by Richard Hall and was published in 2007. The book describes the full story of the Vikings form their origins in Scandinavia during the early first millennium to the last surviving Viking settlements in fifteenth-century Greenland. •	Who were the Vikings? •	Viking Life and culture. •	Expressions of identity: Religion and art. •	The later Viking age. •	The end and after. •	Nationalists, romantics, madmen and scholars. Important subjects such as Runes are taken care of by Richard Hall. His writing is complete and convincing. Richard Hall is Director of Archaeology at York Archaeological Trust and he led the excavations of Viking age York and helped to device the world-famous Jorvik Viking Centre. It helps that we visited this beautiful museum in York and as well the Viking museum in Roskilde Denmark and the Vikingskipshuset-museum in Oslo Norway. The National museum in Copenhagen also has a very extensive exhibition concerning Vikings and other subjects. “Exploring the world of the Vikings” gives you the possibility to read again all the wonders concerning Vikings without the need to travel through Scandinavia and England. However I think that our next holiday designation will be again Sweden ☺. Finished ready and really enjoyed it. 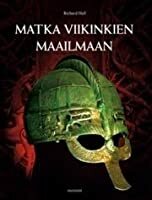 If you like Vikings and want to know more you must read this! It annoys me that some of the most fascinating cultures in history can only be learned about via the archeological record. Therefore, books on ancient Egypt often devolve into exhaustive catalogs of items uncovered at dig sites, followed by dry speculation on their significance. This book on the vikings suffers from the same weakness. The pictures are great and the author picks out some interesting details, but in the end it lacks the juiciness of a good book about a more well documented era. Richard Hall thoroughly strips any romanticism in this history of the Vikings. This is great, but it does come at the expense of some of the more interesting parts of Viking history. Good pictures of historical objects, good history, a little dull in the reading, but good source of information about Viking raiders. Informative and beautifully photographed. A great overview of the Viking era. It's a good book, I didn't read that much out of it during my viking course, and have not finished it after either, comparing to the other ones I've but it have many interesting pictures and some good points that the other ones I had didn't fill in and both a historical and archaeological view in the Vikings. 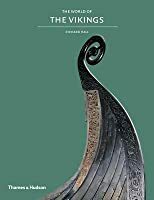 A good value, informative book on the Vikings though, for my liking, it tended to not spend very long on each particular aspect that it chose to focus each chapter on, leaving you wanting more. This is a beautiful book. Glossy, incredible pictures and pages and pages of information that will take you on a wonderful journey. Great book. Has the latest archaeological discoveries. Interesting timeline, Photographs, and drawings. A must read if you are into Vikings history. Richard Hall, who has died of cancer aged 62, was one of the foremost archaeologists of the Viking age. In a career spent almost entirely in the city of York, he not only transformed understanding of pre-Norman urban development, but did so in a manner that combined scholarship and meticulous archaeological technique with a flair for enhancing public awareness and understanding. Only an archaeologist with Hall's dedication, dry wit and ability to lead a team by example could have delivered on the greatest challenge of his career, excavation of the major site at 16-22 Coppergate in York, between 1975 and 1981. His work there, utilising open-area excavation methodologies within archaeologically unprecedented cofferdam shoring, ensured detailed recording of deep and waterlogged deposits from the Roman period onwards. The Viking age results were spectacular, notably the remains of timber buildings lying within tenements running away from the street towards the river Foss, together with a remarkable range of finds within them. In all, some 230,000 pieces of pottery were recovered from the excavation, together with five tonnes of animal bones and more than 15,000 "small finds", many being exotic imports such as amber from the Baltic or a silk purse from the Middle East. Excavating and recording such a complexity of material was only the first step. Marshalling the data, overseeing its analysis, producing a synthesis and, most importantly, publishing the information was also critical. Hall managed all these aspects with determination, drive and a comprehensive attention to detail. The excavation itself was conducted with as much access for the public as possible, with on-site viewing platforms, exhibitions, guided tours and lectures all forming part of the project. Hall summarised the results of the excavation in a bestselling book, The Viking Dig (1984), and also provided the academic oversight for the Jorvik Viking Centre, which opened within the Coppergate development in 1984 and immediately became one of the UK's top 10 visitor attractions. Academic publication followed in a series of reports. Hall's work at Coppergate was seminal in a number of ways. It revealed the rich contribution of Scandinavian settlers to the development of urban life in England; it enhanced understanding of the extensive (and largely undocumented) trade contacts of early medieval Europe; it utilised a range of innovatory techniques, notably paleoenvironmental research, then in its infancy; it fostered awareness of archaeology, exciting the general public; and it entered partnerships that enabled that excitement to be transformed into landmark presentations through the Jorvik Centre. For Hall personally, Coppergate helped him to build on his personal interest in the Viking age, not only in Britain but further afield, in Scandinavia, Iceland, Greenland and the US. Hall was born in Ilford, Essex, but moved as a child to Northern Ireland, where his father worked in the linen industry. He was educated at the Royal Belfast Academical Institution and then Queen's University, Belfast, where he prepared an undergraduate study of Irish Viking age finds. He followed this with a doctorate at Southampton University on the Anglo-Scandinavian towns of the Danelaw, under the supervision of Peter Addyman, who shortly thereafter left the university to become director of the newly formed York Archaeological Trust. Hall, after excavations in Dublin, Derby and at Mount Grace priory in North Yorkshire, followed Addyman to York in 1974 as excavations supervisor. He worked for the trust for the rest of his life, becoming deputy director and then director of archaeology.